Wheeeeeeeeeeeee! I'm flying through today. In fact I think I may even consider putting my pants on over my trousers. It's going to be one of those days. And my Copics will be positively steaming by the end of it too. Anyhoo. 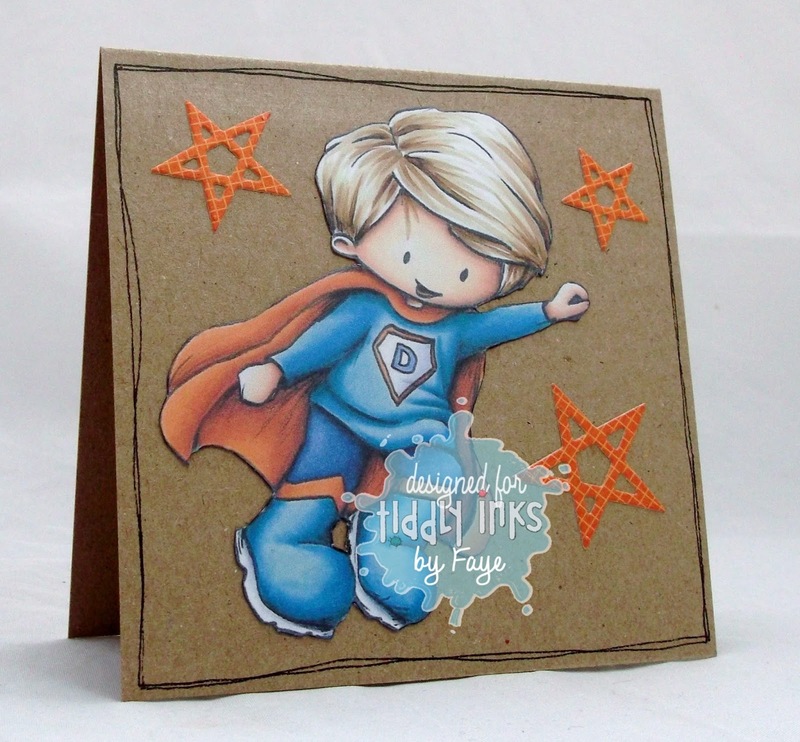 New Challenge over at Tiddly Inks... Let's Get Krafty. We wanna see some kraft card. Use it. Colour on it. Do what you want with it. Just don't eat it, it's not so good. Just sayin'. 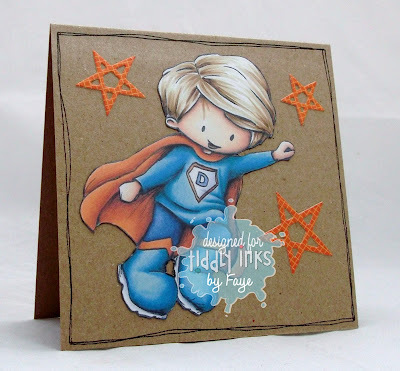 Love this little super hero Faye - very cute indeed! He's a grand little chap Faye! smashing! Do you know first hand that kraft paper doesn't taste good? ;-) Splendid card! Awesome colouring, as always. 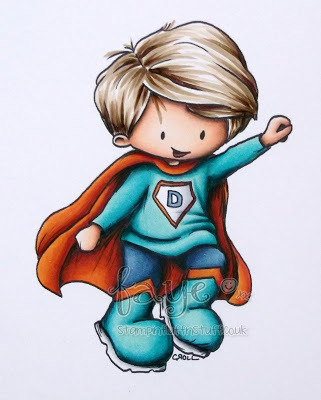 Ok I'm singing the Superman theme now..... those were the days sitting watching the original - Christopher Reeve with my two girls...... we were all AGOG!